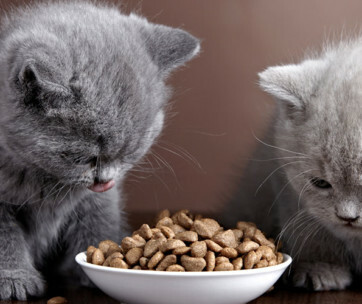 Cats that eat non-edible or non-food items are showing the behavior known as pica. This describes the animal’s propensity to eat items that are not regarded as food such as plastic. It is similar to the pica that is seen in some pica who eat bolts, buttons, hairs, paper, and others. There are different reasons why cats may have pica. 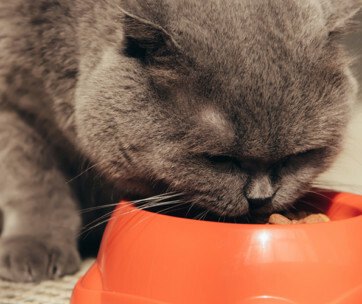 The general observation is that cats that suffer from certain nutrient deficiencies are more prone to pica than cats receiving optimum nutrients. It is important to realize that plastic bags also contain chemicals or substances which the cat may deem necessary for its health and survival. Have you ever tried crumpling any piece of plastic? It made that crinkly sound, right? For cats, this crinkly noise may signal the presence of prey. Since felines are great predators, the sound of plastic getting crumpled stimulates their natural predatory instincts. It is quite difficult to establish with absolute certainty the existence of obsessive-compulsive disorder in cats. What we know is that some cats may show extreme preoccupation towards anything and everything plastic. As such, they will try to seek out plastic items; otherwise, they will feel very stressed out. Anemia in cats can also produce pica. This is a condition whereby there is a reduction in red blood cells. It is possible that the cat seeks to replenish its red blood cells with the necessary building blocks like iron and protein. Other medical conditions that can present with pica include feline diabetes, hyperthyroidism, and gastrointestinal problems. Dental problems like toothache can also make a cat want to chew or eat plastic. This is an attempt to alleviate the pain it is experiencing. This may sound controversial, but there is growing evidence supporting the role of genetics in feline pica. For instance, wool-sucking is now considered as one of the precursor behaviors to feline pica. This behavior is more common among Birman and Siamese cats. The prevailing school of thought is that Siamese and Birmans are more likely to eat plastics than other breeds of cat. This is almost similar to the behavior in humans who may bite their nails when stressed. Pica, in this case, is a manifestation of feline anxiety and stress. They eat plastic as a means to spend the negative energy that’s often associated with such a condition. Cats are very curious animals. They are very observant. The first time they encounter plastic, they may have the chance to chew and eat it. They may find it appealing, which can lead to the repetition of the behavior. It’s possible that cats eat plastic as a way to get your attention. It can also be a way for them to manage feline boredom. In such instances, it’s similar to stress-related pica. Plastics should never find their way into your pet’s gut. If you have a feline friend that finds plastic more enticing than its regular meal, then here’s what you can do. It’s important that you make sure your cat doesn’t have any medical condition that may produce pica. A visit to the vet can help you make certain of this. Moreover, the vet can also help you determine the possible reason why your cat eats plastic. This lays the foundation for a more appropriate management plan. Boredom and anxiety are almost always present when we talk about feline behavioral problems. The good thing about this is that they are quite easy to address. One of the best ways you can prevent feline boredom and anxiety is by increasing the frequency and duration of the interactive plays of cats. This can help enrich the life of your kitty so that it will no longer engage in undesirable behaviors. Using appropriate cat toys also helps. This exercises our feline friends to help promote better physical wellbeing. Furthermore, using prey-mimicking toys like cat wands and mouse toys can help stimulate their predatory instincts. They will feel happier and more content this way. Hence, they’ll no longer feel the need to chow down on plastic. You may not always be home to engage your cat. As such, you’ll need to provide your kitty with enrichment activities whenever you’re out of the house. Using automated food dispensers or food puzzle toys can help. If your kitty is hungry, it can always go to its food puzzle toy to “work” for its food. It won’t go looking for plastic to chow. Cat perches are also excellent in keeping your kitty entertained while you’re away. Cat scratching posts are not only helpful in stretching your cat’s body. These are also helpful in releasing feline stress and addressing cat boredom. If you see your cat eating plastic, resist the temptation to yell at it. Instead, toss its favorite toy in the direction opposite to the plastic. Your cat should stop what it’s eating and head straight for the toy. Praise your kitty. You need to repeat this every time you see it eating plastic. You are trying to teach your cat that there are better rewards for ignoring the plastic. Cats can eat plastic because of behavioral issues stemming from boredom, anxiety, and stress. There are other potential reasons such as a medical condition, nutrient deficiency, and genetics. What’s important is to let your vet help you determine the exact cause so you’ll know how best to manage it.